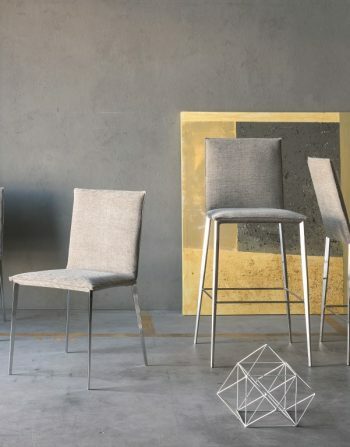 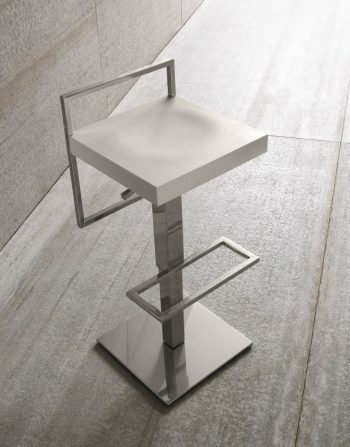 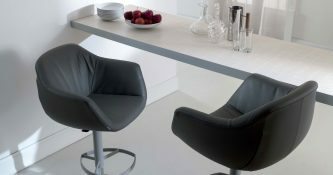 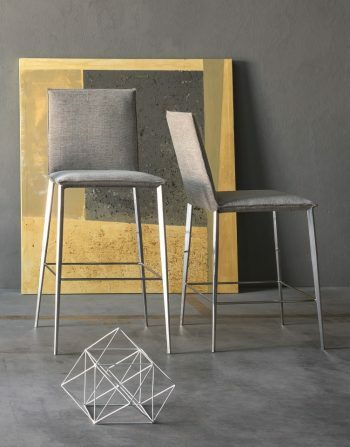 Soft Touch Finishes for this Fabulous Bar Stool. 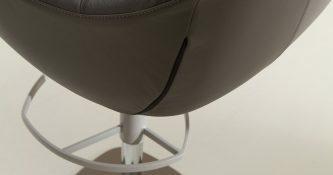 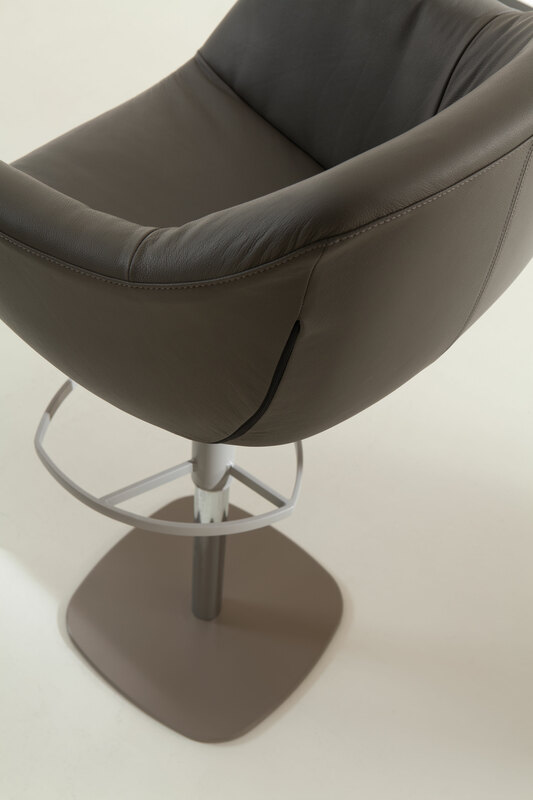 The Upholstered Seat of Post Guarantees High Comfort, while the Adjustable Height and the Swiveling System Give the User More Freedom. 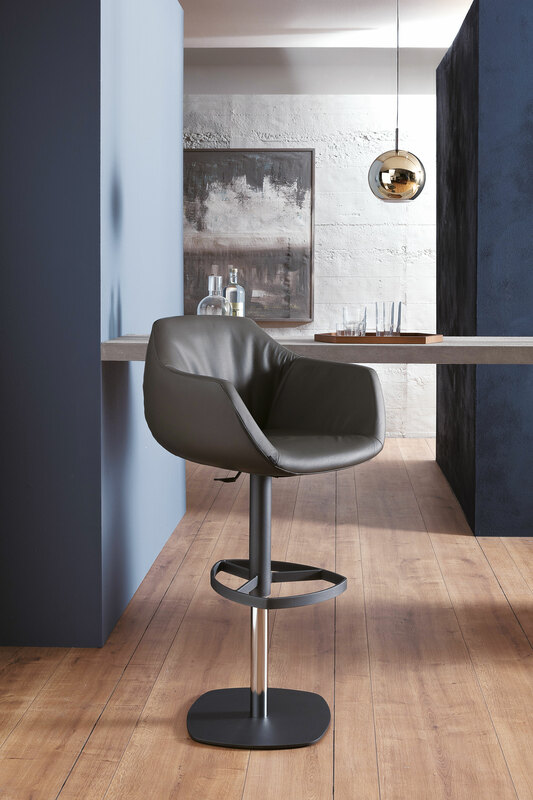 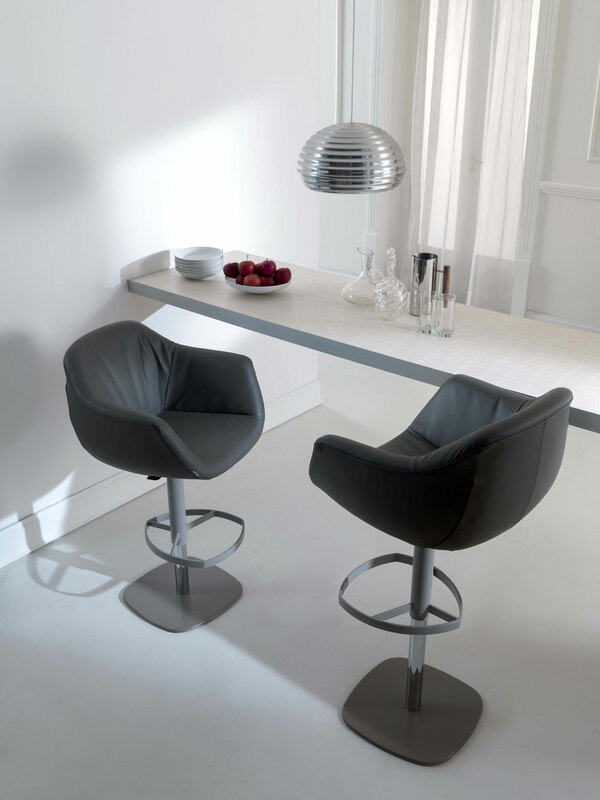 A Soft Genuine Leather Covering Makes This Stool Perfect for Any Home or Contract Interior. 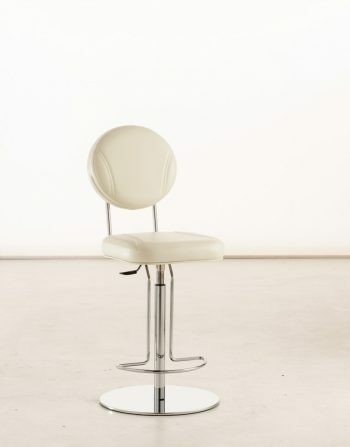 Post Adjustable Swivel Barstool in Genuine Leather – Metal Frame and footrest Contract Grade. 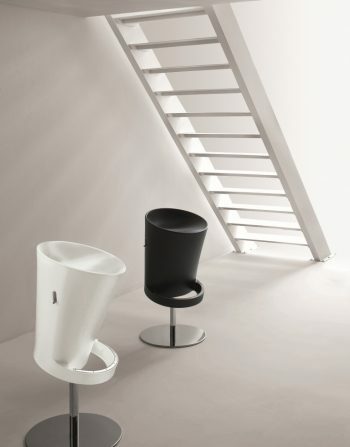 85 H x 39 W x 46 D cm. 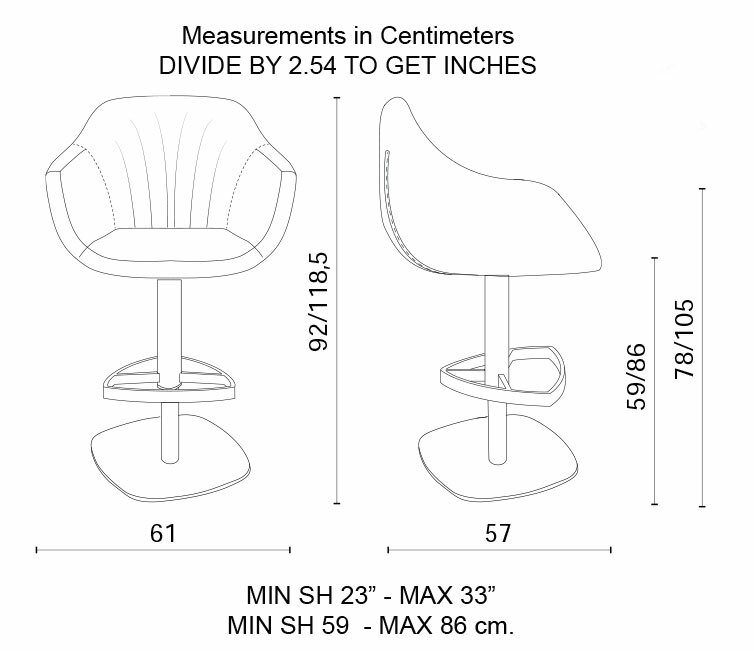 Minimum Seat Height 60 cm. 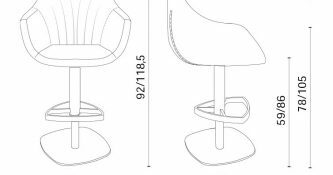 Maximum Seat Height 83 cm. 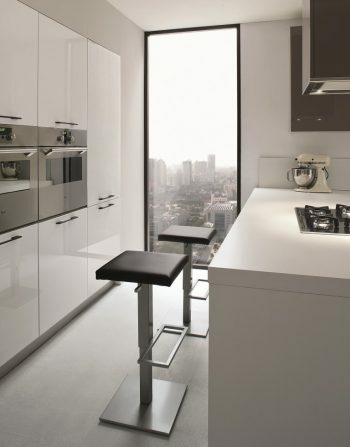 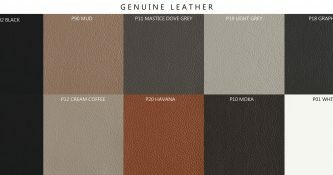 Available only in genuine leather with base dove grey or dark grey as shown in the pictures.